So … you want a website for your business, professional services, church, school, club, group, network, organization, or personal use that you can manage by yourself? If so, there are some very important things you need to know before you go out and get your website built. Why Manage A Website Yourself? WPCompendium.org Shows You How To Build And Manage Your Own Website … For FREE! Will My Website Look Like Yours? I Don’t Like The Look Of Your Website! The Bottom Line … Choose WordPress! The idea of managing a website yourself sounds great, but without understanding what you are really getting yourself into, you will most likely end up with a website that does very little to help your business grow or requires you to hire experts to manage it for you … which is the exact opposite of having a website that you can manage on your own. WPCompendium.org was launched to help you get a website that you can manage completely on your own with no technical skills at minimal cost and to empower you to be able to grow your business or organization online without the need to hire experts to manage things for you. 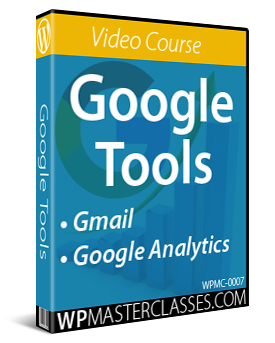 We provide hundreds of detailed step-by-step tutorials covering everything you need to know to build, manage, and grow a website on your own … 100% FREE! Let’s go through some of the important things you need to consider before getting a website built that you can manage on your own. What most people mean when they say they want a website that they can manage on their own, is a website where you can publish your own content without the need to involve others. In other words, you want a website that lets you easily type out what you need to communicate or announce to your audience, add links to your text, insert images, or even videos or a downloadable document and then hit the ‘publish’ button to make the content go live. What most people don’t mean when they say they want a website that they can manage on their own, is a website where they are stuck doing ‘technical’ things like editing code to change the design or layout of their website, performing tasks that require messing around with web files and servers, or trying to fix problems that require web programming skills. Both of the above, however, are things you need to do when managing your own website. Website management requires managing your content and the technical aspects of your website. If this is the case, what you really need, then, is a website with a built-in Content Management System (CMS) that allows you to easily take care of ‘technical’ areas without requiring technical skills. 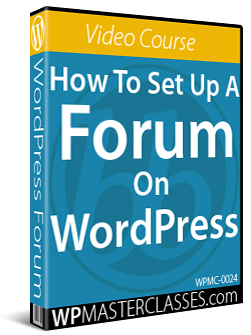 The platform that allows you to easily do this is called WordPress. 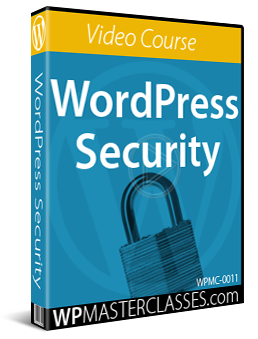 We provide a great deal of information about WordPress in our Introduction To WordPress module. 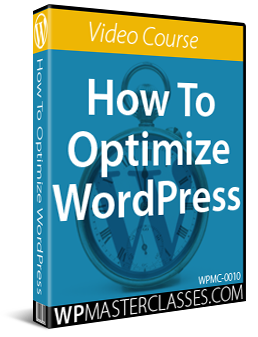 You will learn what WordPress can do, why it’s free, what makes WordPress the world’s most popular CMS, the costs of building a website with WordPress, and the benefits of using WordPress to build, manage, and run your website. 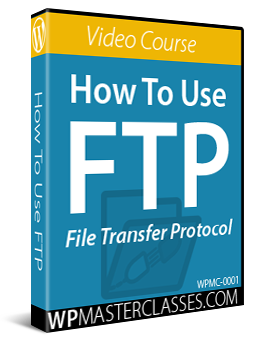 We recommend that you read through the articles and tutorials in this module before doing anything else. I recently read an article online about managing your own website. The author of this article (a web developer), made the point that unless your business is building and maintaining websites, you should just leave this to the experts and focus your time on more important things like running your business. You would expect a web developer to say this as it’s clearly in their best interest to sell you their services, but there is another side to this argument. This article was dated 2005. Around that time, CMS platforms like WordPress were just getting started and websites did require a lot of technical expertise and web coding skills to build and manage (see our brief history of websites). Not anymore. Not only have web publishing platforms and technologies like WordPress evolved to become more user-friendly and less technically challenging, but the digital economy has significantly increased competition for businesses worldwide while also creating exponential challenges for businesses that want to market themselves online and specialization in the web services industry. What this means for you as a website owner, is that if you want better results online, you have to be in control of your website and your digital presence, not your web developer. Being in control means understanding all of the processes involved. Once you understand these processes, you can then evaluate and assess what makes the most sense for your business and for your needs, and then choose whether to outsource web management tasks or do these yourself. Web agencies and website developers love people who tell them “I want you to build me a website that I can manage by myself,” because they know that 99 out of 100 times, they will end up managing the website on behalf of their client for an ongoing monthly fee and upselling them additional services and solutions. If you lack the skills of a web developer and want to manage your own website but don’t want to end up becoming a ‘hostage’ to web developers and technical people and get stuck with monthly support and maintenance fees, then you need an online vehicle that puts you in control, lets you drive, and gives you options. One of the biggest myths in the web services industry is that you will save time and money and get the results you want by getting someone else to build you a website that you can manage on your own. You won’t. Whoever builds your website for you will need you to be fully involved in the process. You will need to provide them with all of the information they need to get your website built – logos, images, content for your pages, product or service descriptions, account logins, etc. Putting all of this information together takes time. The less prepared you are, the longer the time it will take to get your website launch-ready. In contrast, you (or anyone you delegate the work to, i.e. staff members, colleagues, etc.) can build a website with WordPress at minimal cost and be up and running in a day or two, even if you have no coding skills and have never built a website before. 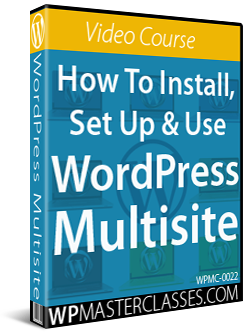 We provide complete step-by-step tutorials on how to install a WordPress site for FREE in our WordPress Installation tutorial modules that anyone can follow. Before you even start thinking about getting a website built, consider why you need a website. What kind of audience are you targeting? Do you need to attract new clients, customers or members, or just publish occasional announcements to an audience that already knows who you are and what you do? Unless all you want is an online brochure with your contact details, you need a website if you sell products or provide services and need to educate and attract new customers, members, or subscribers to your business, school, church, club, organization, or cause. If all you need is to keep in touch with an existing audience that already knows who you are and what you do, you may not need a website. You could just set up a page or group on Facebook and save yourself the hassle of having to manage a website on your own. What kind of content will you be publishing? Content is the currency of the digital economy. If you plan to publish content that includes media (graphics, videos, etc. ), downloadable files, tables, links to resources, etc., you will need a system that allows you to easily manage, retrieve, publish, and keep your content organized. This is where a Content Management System or CMS is required. But what if you also plan to sell products or accept payments for services on your website? Or add a private area that only registered members or users can access using a unique login? Or allow multiple users to collaborate on creating content for your website and perform different functions without accessing your administration settings? Do you need to install different applications on your server and then try to integrate all of these things to make it all work together? Or create a separate website so you can manage all of the different areas of your business that require different content types? This is where the WordPress platform is unique. With WordPress, you can easily run a content management system, an e-commerce store, a private membership site, a blog, a training or documentation section, a customer helpdesk, set up surveys and polls, manage multiple users and assign them different roles and responsibilities, and so much more, all from one single administration dashboard. Our tutorials show you how to easily do all of this. Do you want to control your identity or brand online? If you want to control your identity or brand online, you should have your own domain name and a server to host your website before getting your website built. This way, people can reach you by typing www.yourbusiness.com into their web browser instead of something like facebook.com/yourbusiness or yourbusiness.somefreeplatform.com and they can send you emails to an email address branded with your domain name (i.e. you@yourbusiness.com) instead of trying to reach you using a free (and unprofessional-looking) email account like Gmail. 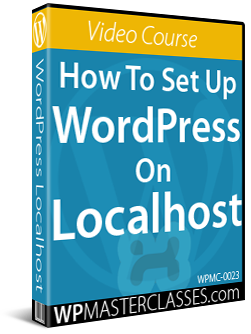 WordPress offers both a ‘hosted’ option and a ‘self-hosted’ option. The hosted option doesn’t require a domain name or hosting, but there will be limitations, especially if you plan to grow online. If you want to manage your own website, therefore, we recommend choosing the ‘self-hosted’ WordPress option, which is FREE and gives you complete control. You can learn about the differences in our Introduction To WordPress tutorials. 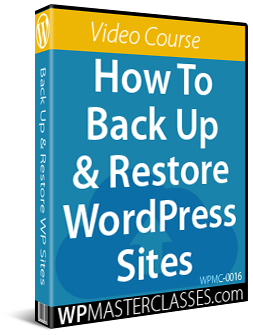 Choosing the ‘self-hosted’ version of WordPress does require having your own domain name and a web hosting account and you will need to manage the administration of both of these areas in addition to managing your own website. Fortunately, this is not hard to do. We provide complete step-by-step tutorials on how to register a domain name, set up a web hosting account, create an email account using your own domain name, etc. Let’s say that you don’t want to build your own website. You want someone else to build you a website that you will manage on your own. If you want to manage a website on your own and you lack coding skills, it’s important to know exactly what you want before going and getting a website built. You will want to have important things about your website already planned out and your initial web content created before asking someone to do the technical work. Otherwise, expect a time-consuming process and delays as you and your web developer go back and forth trying to work out what you really want from your website. The less planning you do before asking someone to build you a website, the longer and more costly the process of getting your website built will be. The more time you spend planning your website, the closer it will be to meeting your expectations. Let’s travel ahead in time for a moment and imagine that your website has now been built and delivered to your exact specifications. You are happy with the way your website looks and you can’t wait to get started. Now that you have your new website, what’s next? How to leverage your efforts online and get your content indexed by search engines, syndicated to social media, and other sites where your target audience can be found. How to modify your website layout or menus, add or rearrange design elements, etc. How to manage your site’s registered users or members, set user permissions, etc. 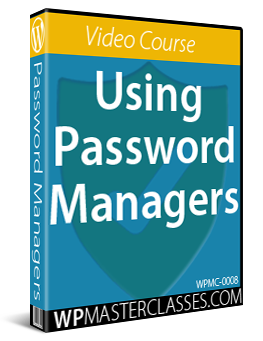 How to keep your website protected and secure against hackers, malware, and malicious users. How to troubleshoot and fix common errors and problems. As you can see, managing your own website requires regular training and access to great training content. Most web developers will spend an hour or two showing you the bare minimum, then leave you with a ‘quick-start’ guide that often contains little more than very basic information. After this, you will be charged for additional training and support and regularly asked to have them take over the management of your website. This is when the costs of having a website normally start to escalate without any related improvement on results. WPCompendium.org provides hundreds of detailed WordPress step-by-step tutorials covering everything you need to know to build and manage your own website with no coding skills required and at minimal cost. Take a look around WPCompendium.org. Everything you see on this website has been built and is being managed by just one person with no coding or web programming skills. Everything you see on this site has been built using WordPress. This site was built without coding skills and has been expertly configured using mostly free WordPress plugins. All I have to do is write and publish content to this site and it will automatically be picked up by search engines and instantly syndicated to my social pages on Facebook, Twitter, LinkedIn, Tumblr, and dozens of other web directories. The comprehensive tutorials on WPCompendium.org are the result of years spent planning, implementing, and documenting the exact steps and processes required to manage a website on your own. 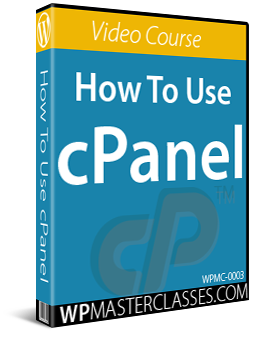 Our step-by-step tutorials are organized in a logical sequence with no missing steps and available to anyone who wants to learn how to manage their own website … 100% free! Your website will not look like this. I built WPCompendium.org using the default WordPress installation theme to prove the point that the last thing you need to worry about when building a website with WordPress is how your site will look. Because WordPress has unique features like Themes, Plugins, and Widgets, almost any kind of functionality imaginable can be added with just a few mouse clicks and the entire look and feel of this website can be easily changed at any time without affecting the content. WPCompendium.org attracts thousands of new visitors each month by providing useful content and because this site has been built and configured using the same methods explained in our tutorials. At any moment of my choosing, I can easily change the design, layout, elements, colors, fonts and anything else about this site without hiring web developers and web designers. Additionally, most of this site’s management processes are automated, so backing up the site’s files and data is done automatically and keeping the site’s software, plugins, and themes updated takes only seconds. WPCompendium.org is a perfect example of what managing a website yourself looks like! Whether you decide to manage everything yourself or hire people to look after the technical areas of your website freeing you up to focus on managing your content and the rest of your business, you should still consider choosing WordPress. If you want a website that you can manage on your own without coding skills and at minimal cost, choose WordPress and just follow the step-by-step tutorials provided for free here on WPCompendium.org.